This tequila has a soft spot in our heart for two reasons: It’s made the old-fashioned way, and it contains the rare aroma of melon, which we love! Its unique aromas and flavors might be due to the use of the tahona, which is a 2 or 3-ton stone wheel used to crush cooked agave to extract the sugars from the fibers of the agave plant. It’s a slow process, but it makes a big difference. That’s why the makers of Suerte use one, in addition to a screw mill, during the extraction process. The Suerte products are made in the Ciénega region of Jalisco. Single-estate agaves are cooked in stone/brick ovens. They are double distilled in stainless steel stills that have copper coils inside, and are the only brand currently being made at NOM 1530. 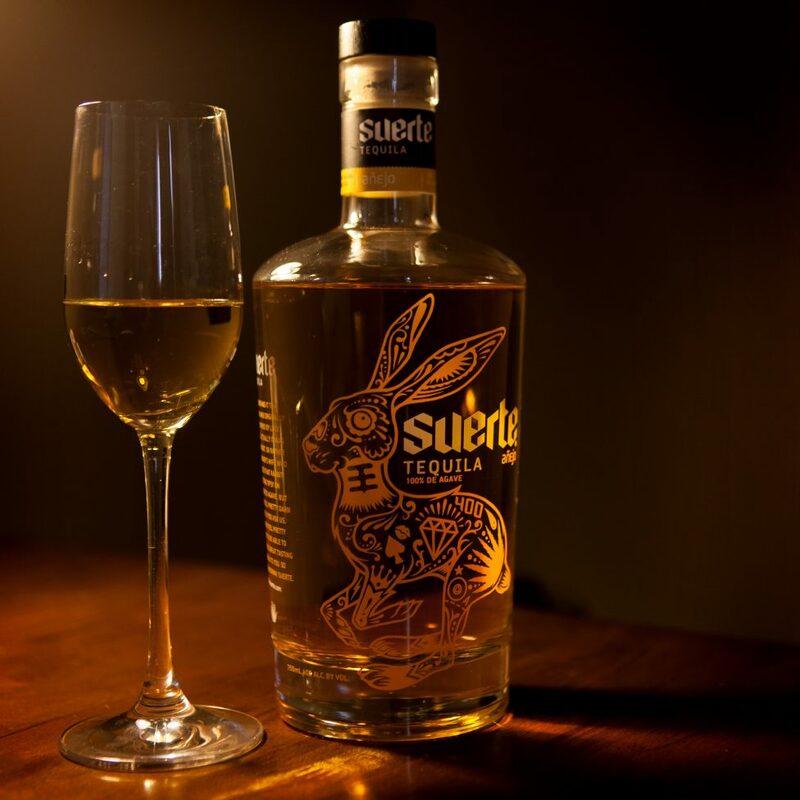 In Suerte Añejo, you should expect to find aromas and flavors of not just of melon, but also butterscotch, vanilla, caramel, citrus and butter, along with slight hints of the grassy, green apple profile found in the Suerte Blanco. This tequila is very easy to drink, and luckily, somewhat easy to find. We will be drinking this all weekend long. Have you tried this yet? Tell us what you think by rating it in the Tequila Matchmaker app.